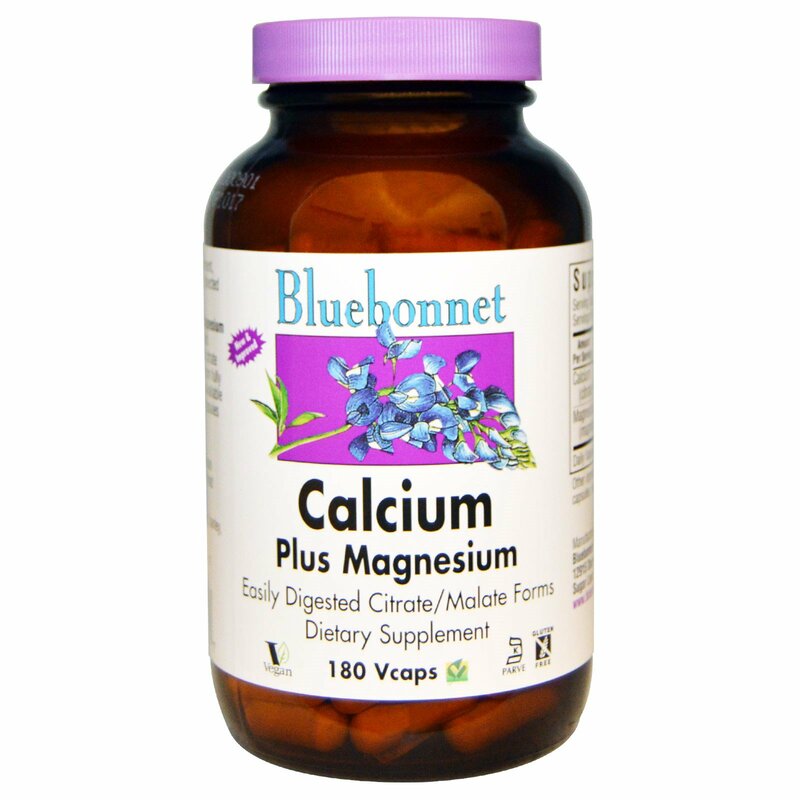 Bluebonnet's Calcium Plus Magnesium Capsules provide easily digested calcium in a chelate of calcium citrate and malate, plus magnesium from fully reacted magnesium aspartate. Available in easy-to-swallow vegetable capsules for maximum assimilation and absorption. 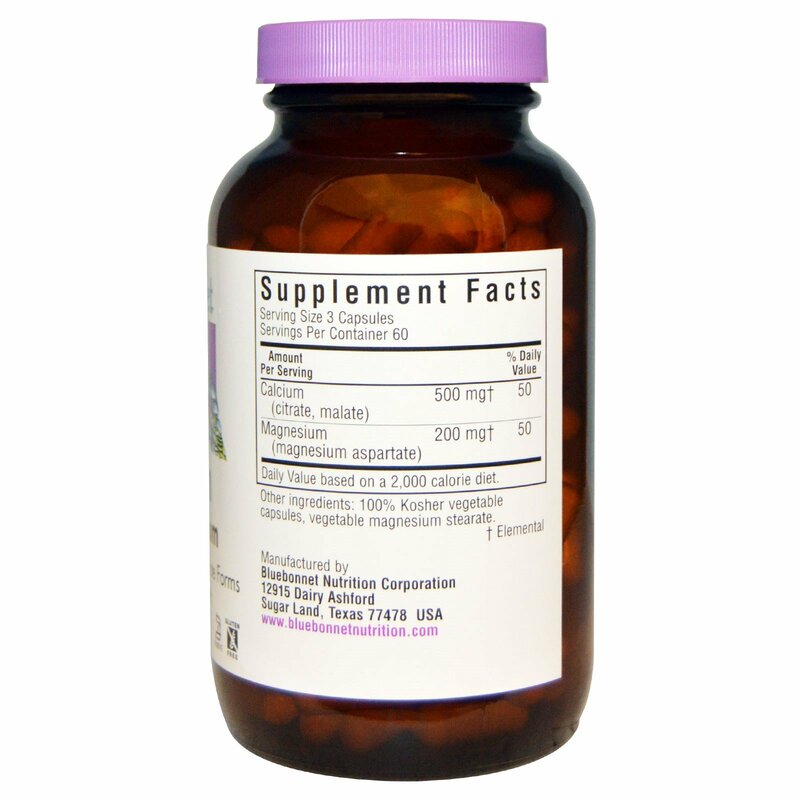 As a dietary supplement, take three capsules daily or as directed by a healthcare practitioner. 100% Kosher vegetable capsules, vegetable magnesium stearate.